Today I was at a very interesting discussion led by Thomas Morris, editor at The Stinging Fly magazine, as part of the Dublin Writers Festival. It was a colloquy about the short story between two practitioners of that form, Nuala Ni Chonchuir and Mike McCormack, the latter my tutor during my MA in Writing twelve years ago (God, I feel old. Again.) I felt like a bit of a poacher-turned-gamekeeper as I haven’t written a short story in well over a year, and one of any considerable length in more than two. But it was interesting hearing what the short story had to offer and where short story writing, particularly in Ireland, might have lost its way somewhat. Mike suggested that the Irish short story had not really evolved since the nineteenth century and was stuck in the character-centred, epiphany-driven model a la Chekhov. Nuala added that Dave Lordan was making attempts to explore the more modernist forms and styles and that June Caldwell was showing signs of an inimitable and arresting style all of her own. I can attest to that, having heard both Dave and June read their prose. Perhaps not coincidentally, both are confident performers and can hold an audience. The consensus appeared to be that the problem was lack of ability to evolve in style. (Julian Gough’s article on James Joyce is an interesting accompaniment to this one.) Other forms of art, such as music, were brought up as counterexamples and lauded for their forward-looking stance. I’m…not so sure. While I cop that I am old-fashioned, I do agree with Mike and Nuala that there is an issue with the short story’s stagnation. But I’m not sure of the origin of the problem. I’m not convinced that short stories are too rooted in the nineteenth century. I’m wondering if perhaps they’re not rooted enough. Time was when short stories were published in magazines and newspapers for people with little else in the way of broadcast media to distract them. They were packed to the gills with dirty, rotten, stinking, unlofty plot, the more dramatic the better. I think many of us have grown a bit cynical and self-conscious with our modernism, too aware of what we’re doing, to just abandon our oh-so-tender epiphanies and write a bloody good story where Stuff Happens. “Write badly for the hell of it”, Julia Cameron advised, and she wasn’t wrong. John McGahern’s name was evoked as an example of being someone too many younger writers try to copy – but how many people writing now would have the guts and gumption to pull off that savage tail-twister of an ending he does in “Korea”? “Nothing happened here” a cuckolded husband says to his erstwhile rival in a Richard Ford story – and that sums up the problem with Ford’s entire repertoire and many others besides. (I know Mike will be nodding in agreement here!) And that’s not a problem that will be solved by writing this nothing with style and elan. I happen to believe it’s not a crime to make the reader want to turn the page and keeping action taut. The nineteenth century guys and girls understood this too. It was only sometime in the early twentieth century that Katharine Mansfield started writing brief, tragic character studies and something turned. Don’t get me wrong, I adore Mansfield, but it was a change that could not be reversed. And would it be fair to say that it has coincided with a slow receding of emotional courage and derring-do? Sounds like a great discussion, and flattered to be mentioned. I think there is a lot of interesting, various, engaging short prose being written in ireland right now, not least by the participants in the above panel. You find a lot of it in the journals e.g stinging fly, penny dreadful. But also in recent collections by people like alan mcgonagle and boris belony. And I have come across several impressively distinct talents in experimental fiction workshops I have been teaching in the irish writers centre and elsewhere. Of course there are others I havent read or met. I think the next few years are going to be really healthy in terms of the emergence of distinct individual talents. you are right obviously about the need to engage the reader, to give them something, i don’t know sometimes what exactly, some kind of combination of pleasure and anticipation I suppose, that keeps them wanting to read on to the end. But there are so many ways to do that and each writer should try their best to do it in their own way, invent their own entrancing concoction. Agreed. It has to be organic and come from the heart. Yoko Ono once said that life is complexity while art is a temporary stillness and she might be on to something there. I read Closet at one sitting. Very engaging novel, and well written! Verity was particularly outstanding as a character, though I was enthralled at the tricky dynamic between Lillis and her (minor character) stepmother. I still have to nab a copy Susan, but I’m hearing great things about it. Super news on her next novel too. 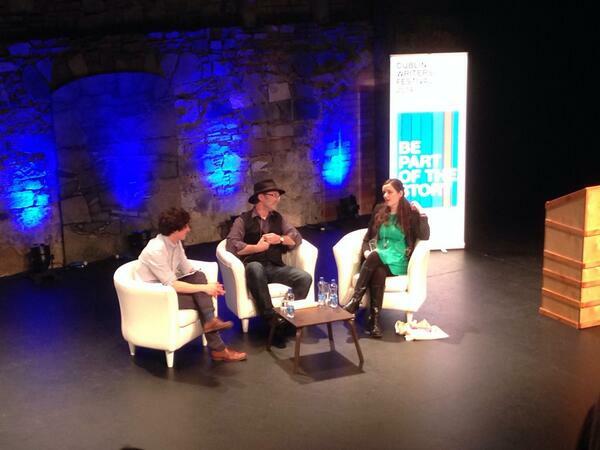 Great thing happening at the moment for Irish writers. Loved this post, esp the bit about emotional daring or courage; it’s all about the story.